Students can join placements in professional practice for a few weeks or for a full year between their second and final year of undergraduate studies. Placements are an integral part of some of our degrees and always strongly encouraged and supported within our department. They provide invaluable opportunities for students to broaden skills that enhance their employability. Ecosupport is an ecological consultancy that provides support and necessary mitigation solutions throughout the planning process of housing developments. I supported the senior ecologist throughout my placement taking on more responsibility as the placement progressed, even having the responsibility of managing 4 separate sites in Andover towards the end. 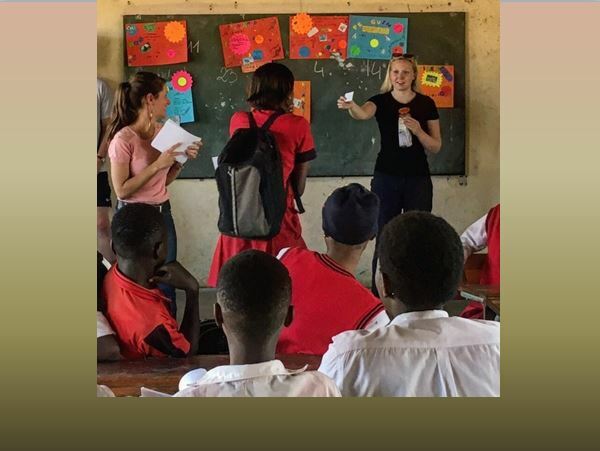 I was able to experience all aspects of ecological consultancy whilst on placement enabling me to fully understand the importance and impact of the work I was undertaking. During my placement I translocated hundreds of reptiles, identified bat roosts and located the presence of rare and protected species ensuring their protection from planned developments through appropriate mitigation. As a Junior ecologist supporting one of the directors of Ecosupport Ltd, I had a wide range of tasks from catching and translocating reptiles, to setting up and conducting protected species surveys for as bats, badgers, reptiles and dormice, to writing ecological reports to analysing data, to liaising with clients, managing groups of surveyors and training new members of the team. As a result, working as a junior ecologist has enabled me to develop a great understanding of the work involved with ecological consultancy and helped me enhance my skills. 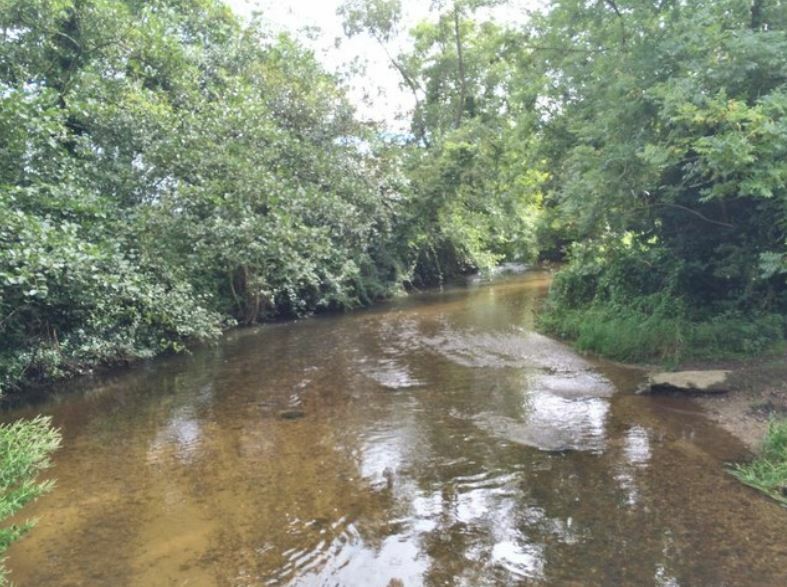 I also carried out practical conservation work which removed River Thorn from an area in the bush and I also took part in bush clearance in order to make a fire break. Investigating if similar factors affect ecology and archaeology in heathlands. 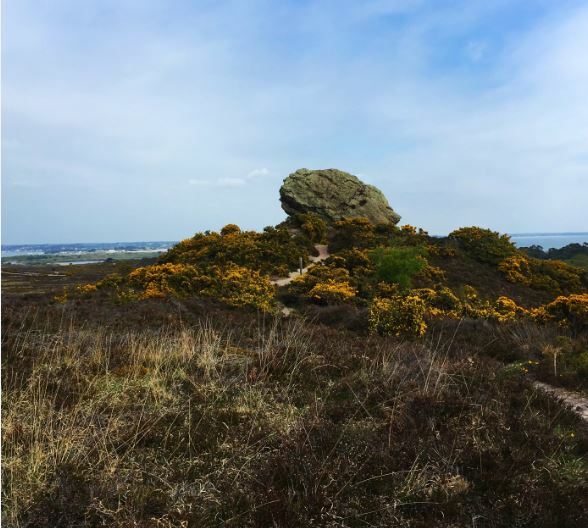 From March to August 2017, I took part in a Bournemouth university SERT, investigating if similar factors affect ecology and archaeology in heathland environments. During fieldwork we studied 18 heathlands, recording ecological features, such as vegetation composition, heath structure and age, indicators of animal presence and human disturbance. We also surveyed archaeological monuments present in the landscape and assessed the degree of damage present. During this placement I was appointed the role of report editor and GIS digitising lead. As report editor, I was responsible for the allocation, data checking and collation of the site reports. My role as GIS digitising lead meant that I was responsible for digitising the boundaries of the heathlands in our study and collate these into a single layer to use in the fieldwork. During my time at the North Devon Coast AONB I mainly worked on their ‘Coastal Creatures’ project. This project aimed to educate the public and collect data around the coasts intertidal zone. 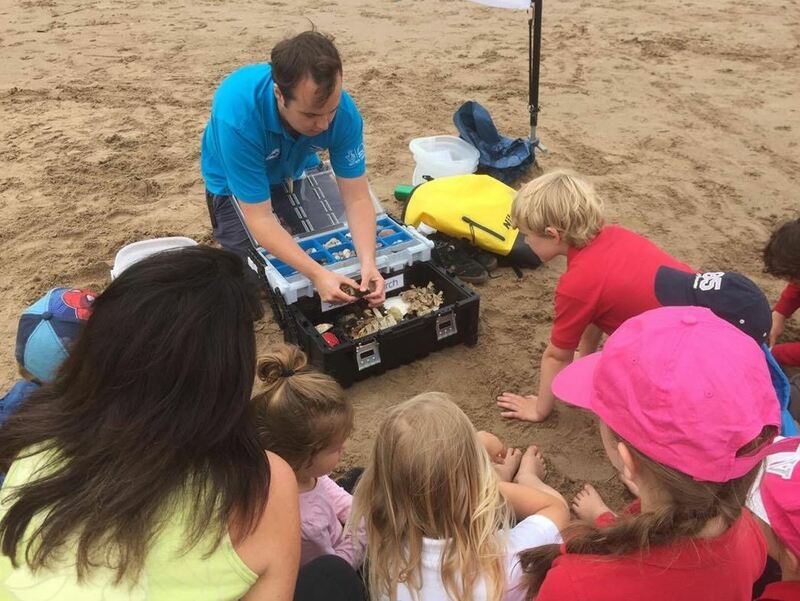 I helped organise and host many events by working with partners from the National Trust, Coastwise and other partner organisations. Events included, rock pooling, strandline searches, beach cleans, mud dipping, species surveys, teacher training days and much more. During my placement I helped collect data from all 4 of the target beaches (Westward Ho!, Croyde, Lee Bay, Combe Martin) such as, species census surveys, beach clean data, biotope surveys and seaweed searches. Throughout my placement we collect data for the Coastal Creatures project, giving me data collection skills and confidence to work and organise groups of volunteers but also, the experience of inputting data to many organisations. The placement improved my networking skills for example, when attending an AONB SWPLF (South West Protected Landscape Forum) with Jenny the manager. 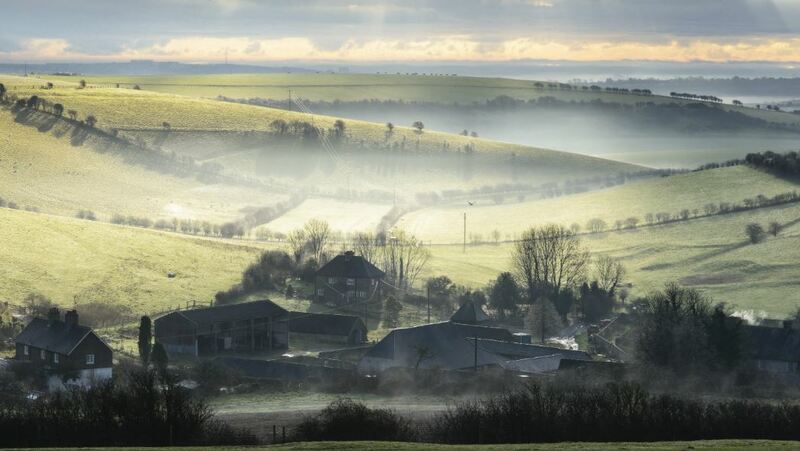 I spent my time at National Trust, based at Saddlescombe farm in West Sussex. I undertook a wide variety of task from conservation of chalk grassland habitats to teaching school groups how to map read. I also had a role interacting with the public at Devil's Dyke. This involved educating people about the local environment and what the National Trust do in the South East. I gained more confidence in public speaking after teaching school children map reading skills and interacting with members of the public. Also the placement helped me practice my practical conservation skills. During my placement with Worcestershire Wildlife Trust my role title was Conservation Assistant and Volunteer Coordinator. My main responsibilities were to assist the conservation team with practical conservation management and leading volunteer work parties and be the main contact for all current and aspiring volunteers. 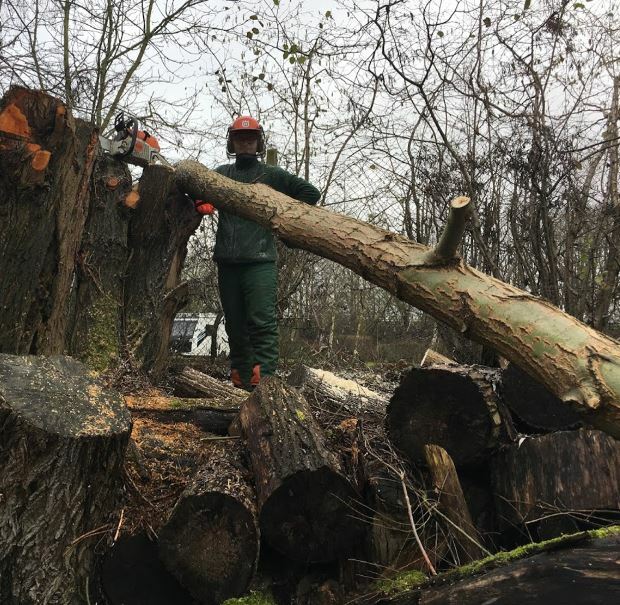 I gained much in the way of practical habitat management experience and gained my chainsaw licence, brushcutter licence and trained in outdoor first aid. ‘’Scott’s enthusiasm and willingness to get stuck in were his main strengths. He handled relationships and took responsibility well with staff and volunteers, many of whom were substantially older than him and earned their respect. Through guidance and application, Scott became a valued colleague and team member who left a noticeable gap when his placement ended’’ – Rob Allen, Southern Reserves Officer, Worcestershire Wildlife Trust. The main objectives of the Conservation Assistant post were to, as a member of the conservation team, carry out the requirements typical of a ranger-type role, support, organise and recruit all volunteers and to support the conservation team across the range of tasks and projects. Within the objectives were many key tasks. These included mainly practical conservation work, including management of unimproved grasslands, ancient heathland and woodland along with assisting the reserves officers with planning, decision making and carrying out conservation projects, whilst improving on and using transferable skills daily – including communication and organisation. The placement was a SERT in collaboration with Hedmark University. It involved collecting data on the distribution of moose population to aid in a research project that is trying to build a model in order to predict moose distribution and habitat selection. The student led research team also collected data for our report on the effects of Bilberry (Vaccinium myrtillus) height and percentage cover in relation to tree canopy cover. The Norway SERT has helped me develop important transferable skills such as organisation, communication, team work and leadership. My identification skills and data collecting also improved by being able to apply them out in the field every day! Working with the Game and Wildlife Trust at their river lab, based in East Stoke, Dorset. Working on their latest project, an EU funded project on helping to conserve Salmon and Trout populations in the River Frome. The process involved electrofishing; passing a current through the water in order to stun the fish. 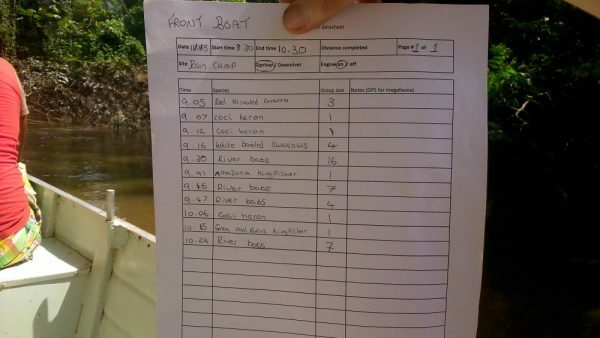 The fish were then collected, weighed, measured and tagged with a PIT (Passive Integrated Transponder) tag. Over 13 000 fish were tagged in total this year. The placement significantly improved my team working skills as you are working with lots of new people every day. 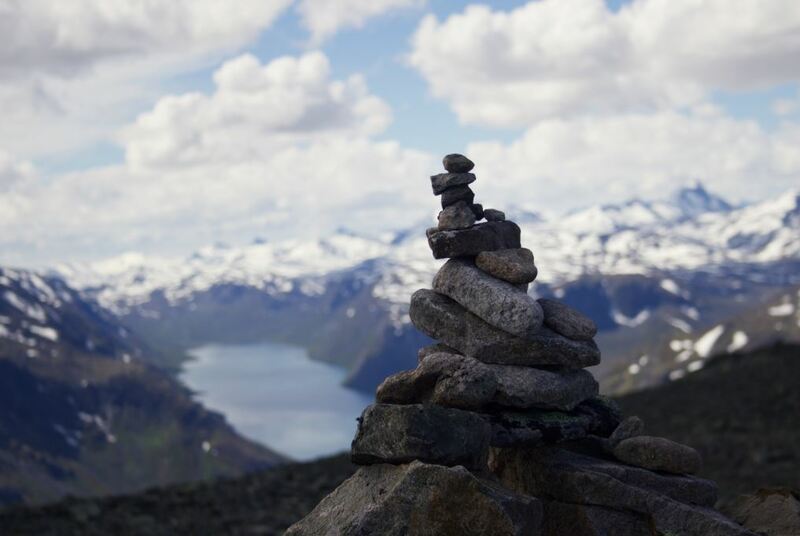 I was a research assistant on a data collection trip to Norway. On the trip I and eight of my colleagues did intensive fieldwork, hiking through the boreal forest to collect the data that we needed. It was a learning opportunity where I developed teamwork, leadership, logistical and scientific research skills. Our team produced a scientific report, a poster and a presentation for communicating our work and results. For a more detailed account of the trip, please see my placement report. The research was part of an on-going study conducted by Hedmark University. The data can also be used in order to aid in decision making for management purposes. Oskari has shown a great knowledge of the field of ecology, and has been resourceful and enthusiastic throughout the duration of this study. 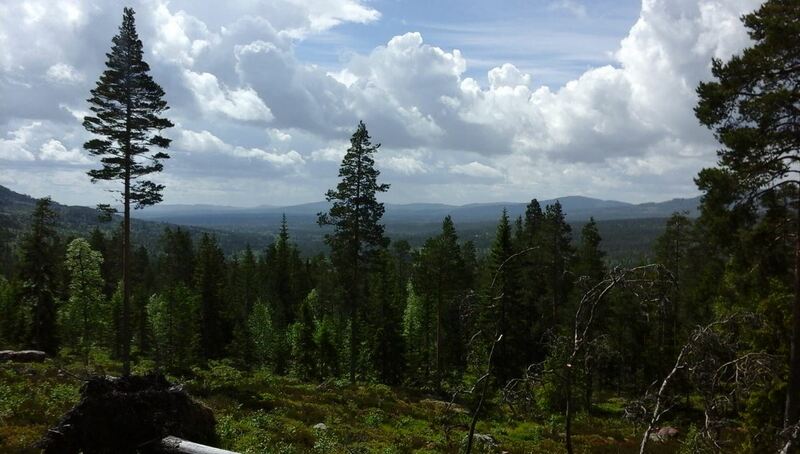 His knowledge of the specific of Nordic ecology has been a valuable resource for the other students on the project. He has displayed leadership abilities, an ability to be highly self-motivated, as well as taking an interest in, and developing, his organisational skills. He has taken on extra duties by coordinating the work of producing a scientific presentation about the results of the study –Magnhild Sletten. The work required advanced skills in logistical and practical organisation, everything from food budgeting and cooking schedules to figuring out the best driving routes and most practically efficient strategy for data collection. Working well with other people was also an important skill during the trip due to our communal living conditions. I undertook 6 weeks of volunteering at the National Trust based in the Isle of Purbeck. During this time I was able to shadow leading property ecologists. 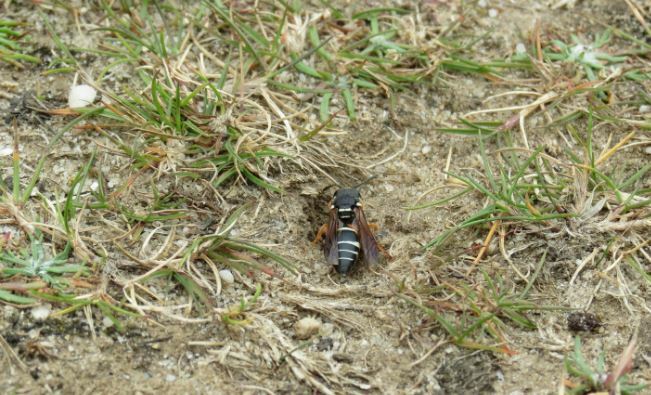 I took part in botanical surveys and spent time in the field learning about the heathland and grassland ecosystems and particular species of interest such as the Purbeck mason wasp (Pseudopipona herichii). During office days I would help to collate and input data to an online database called ‘Living Record’ as well as carrying out other research and producing species distribution maps using GIS software. Informing conservation management planning by adding new information on species distributions. I am thoroughly committed to expanding my knowledge and skill base. Above all, the placement at the National Trust has driven me to become diligent in my approach to adaptive learning, with a heightened awareness of my respect and aptitude for work in the industry of field ecology. The Borough of Poole: My role with the Borough of Poole has required me to work along side the Carbon Management Team, assisting with a number of projects. My main responsibilities have included: working with the Carbon Reduction Manager in supporting the Poole Environment Partnership Business Action Group (Green PEA Scheme) and working to manage the Borough’s reuse waste portal (The Warp-it Programme). We are currently living within an industrialising society where the continual development of our culture has lead to a continual release of greenhouse gas emissions into the atmosphere as a result, we are faced with temperature rise, more extreme weather events with effects on the seasons, wildlife and food production. 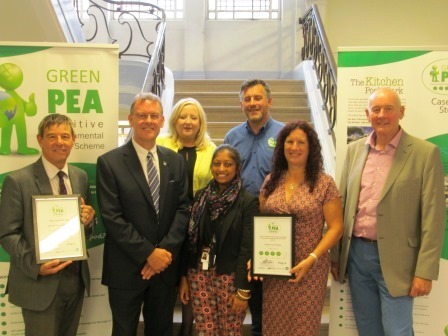 The work I have undertaken around Carbon Reduction at the Borough of Poole has been imperative in aiding to tackle the number of environmental challenges being faced by the world particularly in order to protect and conserve wildlife. This 40 week industrial placement with the Borough of Poole. 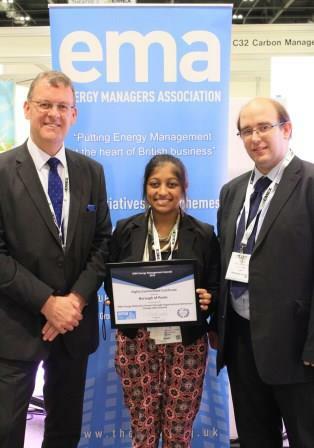 helped me to further build on my existing transferable skills of team work, organisation and communication and also enabled me to gain and develop both new transferable and career specific skills such as: ICT skills, working to deadlines and energy surveying; better equipping me for a career in the industry. My placement with Operation Wallacea was based in Calakmul and Akamul in Mexico and consisted of four weeks volunteering as a research assistant aiding scientists with their research. My time was divided between two weeks spent in the Calakmul Bio-reserve trekking through transects recording species, and two weeks spent in Akumal scuba diving and observing marine life. ‘Arron was punctual and engaged on surveys with us and adapted well to working in the field. He was well liked by staff and peers alike’ – Caroline Acton. I gained vital skills aiding scientists with research, including identifying amphibians and reptiles, birds and bats, and professionally recording and cataloguing collected data. Days spent trekking through transects in intense heat provided an understanding of the physical and mental endurance required from a volunteer working within a challenging environment. Achieving my PADI licence allowed me to observe marine life in their natural environment. 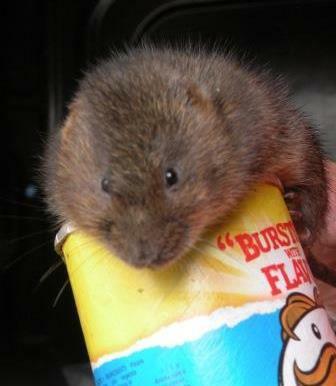 My role with The Wildwood Trust required me to work along side their water vole captive breeding scheme. My main roles and responsibilities included: pairing the animals, undertaking health checks, ensuring they were given fresh food and water each day and keeping a record of their behaviour once they had been paired. The water vole used to be a regular sight along British waterways but in recent years the species has undergone a rapid decline and has been labelled ‘Britain’s fastest declining mammal.’ Working along side the captive breeding scheme enabled me to be an integral part of team which worked along side a number of other BIAZA establishments who were working to help conserve and reintroduce the species back into its natural habitat – the trust is home to one of the largest captive breeding populations in the UK. This 5 week summer placement with the Wildwood Trust allowed me to develop a number transferable skills including team work, organisation and communication. In addition to this, I was also able to develop some more specialised skills including: practical conservation and animal behaviour analysis. 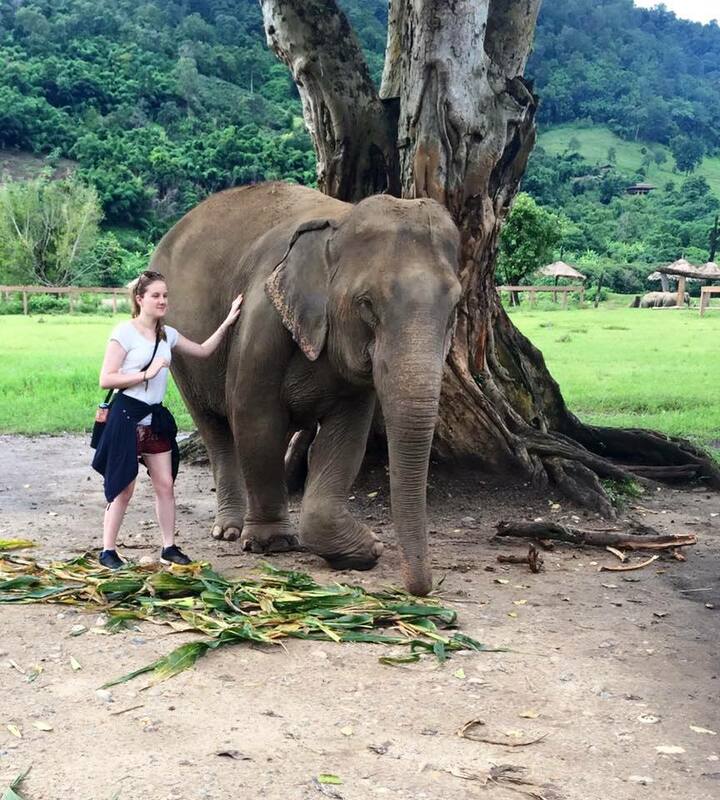 My placement to Thailand to work with the hill tribes and work with abused and neglected elephants enhanced my understanding of international ecology and broadened my understanding of foreign wildlife conservation efforts. I learnt animal husbandry and animal welfare, through spending my days with the elephants and their mahouts, this taught me that communication was key when working with such large animals, and that vigilance and care was needed when around them. It also enhanced my ability to work as a team. My days at the elephant sanctuary in Chiang Mai, were filled with animal husbandry, caring for the elephants, sorting out feeds, keeping their night enclosures clean and keeping the park and sanctuary ground area clean, keeping the animals themselves healthy, making sure that they are washed down in order to remove any ticks, parasites or insects that could be potentially harmful. “Throughout this experience, we have seen a major increase in Esmay's confidence and leadership ability.” Erin Gibson, Student group leader. Helping visitors, interacting with the public, whilst learning social and leadership skills, improving my team working ability, interacting with elephants, learning how to behave around them. I learnt animal husbandry and animal welfare, through spending my days with the elephants and their mahouts, this taught me valuable communication and team work skills. This work placement involved 16 days of travel to and within the island of Sumatra in Indonesia. The main purpose of the SERT was to provide support to the ongoing project of Gaius Wilson's research on the Sumatran Elephant, specifically in regard to human, elephant conflict, by means of developing and deployment of targeted questionnaires. 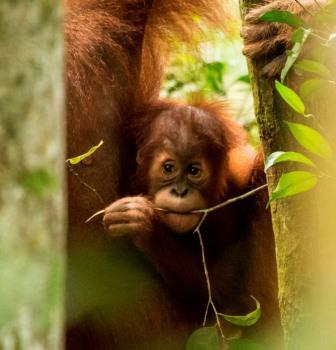 Other factors that this SERT was tasked with investigating was the possible positive or negative effects of eco-tourism on other Sumatran wildlife such as the Sumatran orangutan, Pongo abelii and other forest primates. The main benefit of this SERT was to provide valuable feedback from our surveys to help inform and refine further investigation by Gaius Wilson's team in these areas of important conservation concern. During my placement with Archipelagos Marine Conservation Institute, I was part of the terrestrial team. The surveys I participated in were Bird surveys, where I had to observe and record the abundance of each species. Golden Jackal surveys, that assessed the abundance of the population through camera trap and acoustic surveys. As well as Common chameleon and necropsy surveys. 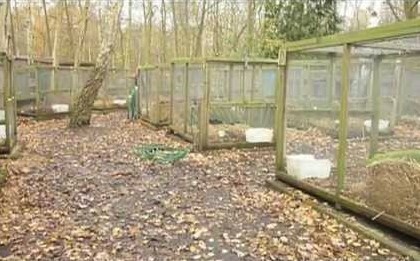 I also assisted the local wildlife authority in prosecuting Songbird trappers. Later on I had the responsibility of leading the bird and Golden Jackal surveys, where I was then given the opportunity to teach visiting school children on the Samos populations. 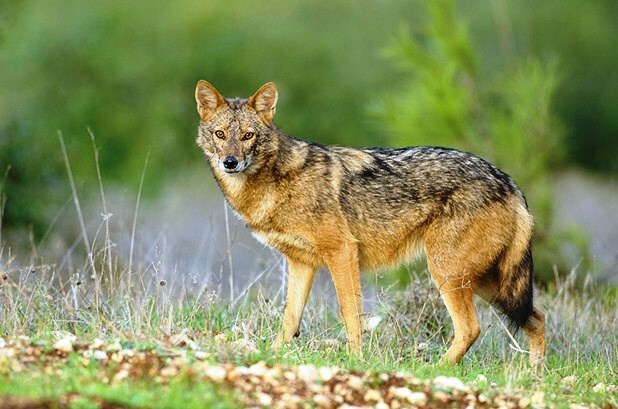 The practical benefits I managed to achieve in my placement was to raise awareness of the local Samos wildlife, by providing camera trap videos of Jackals to be posted on the Archipelagos website and by taking school children on bird surveys to get them interested in wildlife. 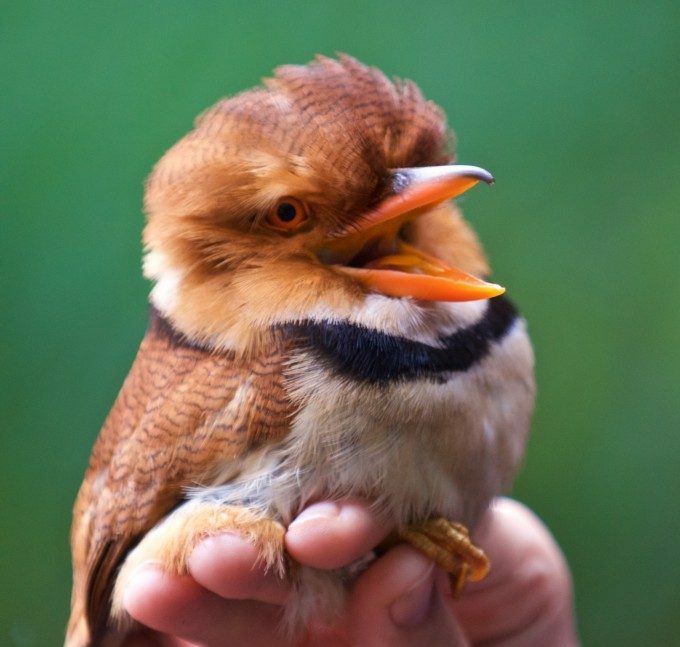 Whilst assisting the local wildlife authority, we managed to release over 90 song birds back to the wild and prosecute 2 main bird trappers on the island. ‘During her internship Phoebe took a lot of initiatives and positive actions that contributed greatly to Archipelagos conservation efforts’. Anastasia Milou Scientific Director of Archipelagos Institute of Marine Conservation. During my placement I gained many practical skills in conservation, through working with conservationists differing in expertise. I gained many skills such as setting out camera traps and hair snares, as well as memorizing bird species call and appearance. 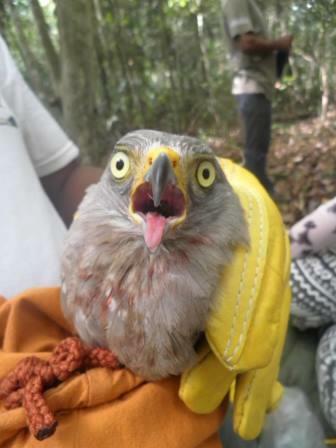 Through leading projects such as rehabilitation of injured birds, I found that I am able to use my own initiative and lead a team to make conservation successful, even when faced with limited resources. Scientific Director of Archipelagos Institute of Marine Conservation and Greek Ambassador for EU Sustainable Maritime Policy. On the expedition in the Guyanese Rainforest I was a research assistance where I participated in mammal surveys along with herpetofauna surveys, game bird surveys, bird counts, mist net surveys for birds and bats and even invertebrate surveys. Each survey involved scanning around for species, scribing, recording, and using GPS data. Towards the end of the expedition a two day boat trip occurred down the Burro-Burro river where species were recorded and their group size. The expedition also involved training on how to survive in the rainforest, carry out each survey and even putting up a hammock/ mosquito net. During the expedition in the Guyanese rainforest I was a research assistant working alongside professional scientists, performing unique surveys which include: Mammal, bird, bat, invertebrate, herpetology, river and forestry as well as using camera traps and mist nets; to assess the impact of deforestation in the area on the wildlife. Whilst spending a month in the rainforest I learnt intercultural skills, working and living within of a new environment and a new perspective of how conservation works such as the importance of global awareness and how to precisely execute all of the different ecological surveys. While in Guyana on placement with Operation Wallacea I helped evaluate the flora and fauna species within the Guyanese rainforest to assess the effectiveness of reduced impact logging. I participated in bat and bird mist netting, which involved handling, and recorded information on individuals caught in a mark and recapture program. I also helped with mammal and herpetology transect walks, recording species and setting up camera traps to monitor the abundance and distribution of Jaguars (Panthera onca) as well as other large mammals. Pitfall-traps were also set up to assess the diversity of beetles, and forest structure surveys carried out. Within the Guyanese rainforest I assisted in the mark and recapture of bats and birds using mist nets, large mammal camera trapping, herpetofauna and beetle identification as well as rainforest structure assessments. 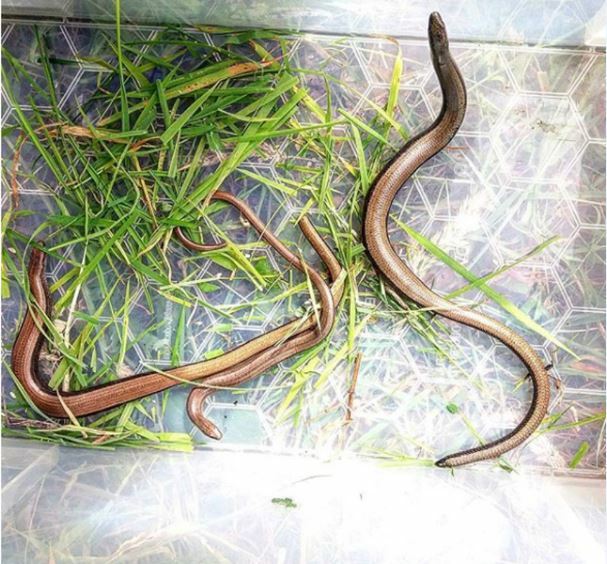 While living in this challenging environment I carried out an array of wildlife surveying techniques to a high standard, working closely with colleagues to ensure no harm came to the animals or researchers, and the data gathered was accurate.